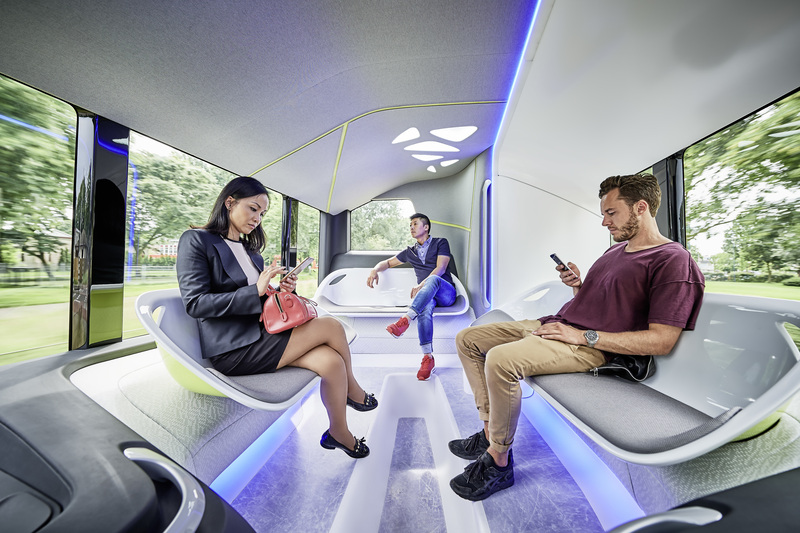 Future Bus isn’t just a brainy piece of utilitarian tech, however. Mercedes has focused on making sure that it’s well-suited to the city of the future, and accordingly put a lot of time into designing the vehicle’s interior. According to the company’s official press site, the busses have three separate zones designed based on how long of a trip a passenger is sign to be on board for, and there are displays for showing entertainment and other media, as well as a ceiling designed to resemble a forested canopy. Look at that swank interior. One of the key ingredients of the CityPilot program is integration with city infrastructure along its route of travel: The Future Bus I fully networked, meaning it can communicate with traffic lights along the route for cues on changing lights. An onboard close-range camera array also manages “fingerprint”-level recognition of asphalt detail, comparing it against previous trips to watch out for variances and keep things on track. The autonomous functions of the vehicle manage speeds of up to 70km/h (around 43mph) and also takes care of navigating to raised bus stops along the route, slowing down and stopping to pick passengers up, pulling to within 2 inches from the curb. Short-range autonomous buses are already getting deployed, mostly in controlled privately-owned settings around the world, but what this Mercedes pilot shows is a successful real-world test of what could be a core component of future pubic transportation systems.